Wii Backup Manager est un utilitaire développé par fig2k4. Il vous permet d'ajouter des jeux sur un disque formaté en WBFS/FAT32/NTFS, ou de modifier les images de vos jeux pour les convertir dans un autre format (CIOS, ISO ou WBFS). C'est une alternative intéressante à WBFS Manager, car cet utilitaire est extrêmement complet. - Sélectionnez l'onglet "Drive 1". - Cliquez sur le menu "Drive", et sélectionnez votre lecteur. - Cliquez sur "Add" et choisissez "Files..". Sélectionnez vos ISOs, CISOs, RARs, .wbfs dans la boite de dialogue. - Dans la liste des fichiers, cochez tous les fichiers que vous voulez transférer sur le disque en WBFS. - Cliquez sur "Transfer" et choisissez "Drive 1". Support pour les fichiers titles.txt de WiiTDB Multi-langage. Couleurs différentes pour chaque source de titre. Original = Titres pris dans le fichier car ils correspondent déjà, ou qu'ils n'existent pas dans la base de données. WiiTDB = Titres renommés à la volée depuis la base de données de WiiTDB. Custom = Titres renommés à la volée depuis la base de données personnalisée. Activation des titres WiiTDB/Personnalisé dans la boite de dialogue des paramètres. Double cliquez pour éditer manuellement une entrée. Conversion du WBFS en fichier CISO, ISO, WBFS. Ajout dans les lecteurs WBFS depuis n'importe quel fichier au format compatible ci dessus. Transfert direct de lecteur à lecteur. Montez n'importe quel lecteur avec un dossier WBFS et utilisez le comme un lecteur WBFS. Utilisez n'importe quel système de fichier pour la sauvegarde des fichiers WBFS. Ex : Montez un lecteur NTFS avec un dossier WBFS. Utilisez les anciennes ou les nouvelles conventions de stockage .wbfs, par ex : un dossier wbfs simple, ou de multiples sous dossiers. Basculez entre eux dans la boite de dialogue des paramètres, avec l'option pour convertir automatiquement lorsque qu'un lecteur est présent. Copie directe en ISO, CISO, fichier WBFS, WBFS. Support des disques Multiboot, reconversion de chaque partition de jeu pour avoir un ISO complet ou transfert vers du WBFS, etc. Récupération du titre original et de l'ID du jeu. Lecture des fichiers RAR, ISO, CISO, WBFS. Écriture des fichiers ISO, CISO, WBFS. Conversion directe depuis n'importe quels formats lus, vers n'importe quels formats écrit. Transfert de n'importe quel format vers le WBFS ou les lecteurs WBFS simulés. Support des ISO Multiboot. Un entrée est ajoutée dans la liste des fichiers pour chaque partition de jeu. - Réparé: La base de données "convertir au format interne" gèle à 0.56% avec la dernière base de données de GameTDB. Un simple "typo" causait le bug qui aurait vraiment du être visible avant. - Ajout: Nouvelle possibilité pour les exports de "template" permettant une table multi colonnes. - Réparé:Remettre la couleur originale du tire dans la boite de dialogue des paramètres la mettait en vert au lieu de bleue. Ce bug existait depuis le premier jour. - Added: Menu item on drive pages, "Tools->FAT32/NTFS->Repair WBFS files". This will fix most problems that cause games to show as invalid in WBM. For example, the corrupt WBFS header caused by the renaming bug below and also WBFS files that haven't been trimmed correctly. - Added: "Tools->WBFS->Recovery mode" now also works with WBFS files. If you have invalid entries in the list, this will allow you to transfer the games to another drive or ISO/CISO which will repair them. - Fixed: A serious issue with title renaming that caused corrupt WBFS files. By not rewriting the WBFS header when renaming the title, it removes the possibility of the header getting corrupt. It doesn't need rewritten anyway, so the code shouldn't have been there. - Fixed: (Issue #0000006) In WIndows XP, the visual styles cause the files list to turn black. - Fixed: (Issue #0000004) When I made some changes from WiiTDB to GameTDB, I missed the titles colour entry in the setting dialog. Because it used WiiTDB and the code expected GameTDB, the colour couldn't be edited. - Fixed: Because I was working on new features, The cover display wasn't working correctly in unreleased test builds. Anyone that was testing should update. - Fixed: The Labels in the about box and splash screen weren't transparent in XP. This was a bug in Delphi. I had to manually add "Transparent = true" to the label properties in the dfm file because the default value wasn't being applied as it should. - Fixed: (Issue #0000002) When loading an invalid file via "add files" or "add folder", the error was shown in the progress panel's mini log, but the details weren't in the main log. This made it impossible to tell why the game wasn't loaded. - Fixed: Trying to add a Wii ISO to the files list where the partition table was invalid would cause the thread to terminate early. Any games in the queue after the broken one wouldn't be loaded. - Fixed: I missed a couple of invalid typecasts in the Win64 code that caused WBFS split files not to work. Both reading and writing were broken when the split was reached. - Fixed: Database filter dialog wasn't translated correctly when setting the language. - Fixed: "New language file" function was adding all the database filters to the new file. ie. all the developer/publisher names etc. - L'information de jeu coupée à la verticale( redimensionneur ) n'était pas repositionnée quand la position était définie. On dirait qu'elle n'était pas là, mais en fait elle se trouvait simplement au mauvais endroit. - Ajout: Styles visuels. Sélectionnez en un parmi les styles disponibles dans Options/Menu Thèmes visuels. - Correction: format SNEEK, main.dol est désormais identique pour X au lieu d'avoir un rebut traînant dans la mémoire comme DiscEx. 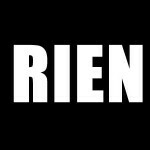 - Correction: Rendu OpenGL fonctionne désormais sous Win64 & Direct3D a été supprimé. 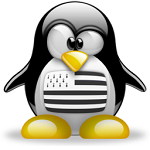 - Ajout: Version Win64 d'origine désormais disponible. - Correction: Un autre petit bug concernant le check hash du SHA-1 et du format SNEEK. Il devrait fonctionner à 100% dorénavant. |-Fixed: An oversight with the default cover URLs. I set them to www.gametdb.com, instead of art.gametdb.com. No need to update from build 64, just edit the cover URLs in the settings dialog. |-Fixed: Various little improvements and fixes here and there. |-Added: A splash screen, because the load time has increased slightly, mainly due to loading the database at startup. The check for updates happens while the splash screen is visible now too. |-Changed: WiiTDB is now GameTDB. All cover URLs etc. have been changed. |-Added: WiiTDB xml support. Database browser tab with a basic filter dialog. Synopsis and controller info etc. can be shown for games on any of the tabs. Either copy the xml file to the WBM folder or update from the Tools menu on the database tab to start using it. |-Fixed: Really small WBFS files would show as invalid because some internal values were rounded down to zero instead of up to one. |-Fixed: Update check, so it doesn't increment the views counter on filetrip. Sorry about that..
|-Fixed: Feedback, send mail ShellAPI call (when MAPI failed) wasn't working. |-Fixed: Archive password dialog wasn't shown when adding a folder. |-Added: SHA-1 hash integrity test. Any game can be checked for corruption using the internal Wii disc hashes. See Tools->SHA-1->Verify.. It's a lot slower than MD5 because 31 hashes need to be calculated for every Wii disc sector, but can tell if a game is corrupt without pre-calculating anything. |-Fixed: When using some languages, the help menu was covered and the "New version" label wasn't anchored to the right side. |-Changed: When sending feedback without attachments, ShellAPI is used instead of MAPI. If the MAPI method fails, you can now send a regular email via ShellAPI and manually attach any files if necessary. |-Fixed: Attachment settings in the feedback form weren't saved. |-Added: A link to the facebook page in the help menu. |-Changed: Disabled all GameCube related code. It was unusable anyway. |-Added: Check for updates. Automatic check on start up and menu item under the help menu. |-Added: Export template "HTML table with covers" by Echizen. |-Added: Option to disable notification sounds. Some people find the "ding" annoying. See Options->Settings->General->Misc..
|-Fixed: View->Tabs->Downloads option wasn't applied correctly after restart. |-Fixed: System drive was visible in the format dialog. |-Added: Archive password dialog. Entered passwords are stored only for the current session. |-Fixed: After an archive was extracted, the usage size wasn't calculated, which caused the ISO to labelled as invalid. |-Added: Error message when trying to transfer ISOs to anything other than NTFS, since it isn't possible. |-Fixed: CISO was broken when removing partitions. eg. using game partition only. |-Fixed: Disk cache thrashing that was caused by writing 1 Wii sector at a time, now using 1 WBFS sector again. The transfer speed should be more stable. |-Fixed: Sometimes the cover downloads would only download to the cache instead of the configured folders. |-Changed: Default renderer is software again. Just in case there's any problems initialising OpenGL or Direct3D. |-Changed: Export template code. Have a look at my example templates to see the changes and all the valid variables. Now supports multiple pages and covers etc. |-Added: Option "Use cover cache". When disabled, WBM behaves just like the loaders, where you can download missing covers only. The display will only use covers that already exist too. |-Added: When a cover can't be downloaded to the cache, the display uses whatever it can find in the cover folders. |-Fixed: A weird problem on FAT32 when renaming or updating the storage convention. The "&#332;" character was somehow classed as the same as "O". I'm still not sure why it happened because I can't reproduce it, but now the files and folders are moved in 2 steps. First to a temp location, then to the final location, which avoids any mix ups. |-Fixed: The custom titles file was always saved to the app folder instead of the location in the settings. |-Fixed: After selecting the custom-titles.txt location, the filename was set to titles.txt, instead of custom-titles.txt. |-Fixed: The path to the disc.info file was wrong when using a custom folder. |-Fixed: Problems with NPOT textures on systems that don't support it. |-Fixed: When the WiiFlow config was selected, front covers weren't downloaded to the cache (For display) when the full cover exists. |-fixed: A couple of names in the about box showed as question marks because my source code formatter didn't work with unicode characters. I works as it should now. |-Fixed: Trailing backslashes are removed from paths in the settings. |-Added: Empty or zero sized drives aren't shown in the format dialog. |-Added: WBFS "virtual sector size" in format dialog, with a warning that it's not usable until we can get support for it in the cIOS. |-Added: Only valid FAT32 cluster sizes are shown in the format dialog. |-Changed: Default cover images from lustar. |-Fixed: DVD write speed wasn't read correctly from the Settings.ini. |-Added: Ignore critical errors with floppy drives, when there's no disk in the drive. Needs tested to make sure I've covered all the places where it can happen. |-Fixed: Finally tracked down the duplicate drive bug, when a new drive was inserted. |-Added: Disc info cache to speed up listing the contents of a "FAT" drive. The "disc.info" file is stored in the WBFS folder. |-Changed: "Jobs" tab is now the "Downloads" tab. |-Added: All downloaded covers are stored in the cache folder, so it's quicker to sync with different drives/loader configuration etc. Updating is possible too because they're stored by region and type. |-Added: Preset cover configuration for popular USB loaders. Simply select the loader and your base cover folder. Certain cover types are disabled for the loader when it doesn't use them. |-Changed: Names of the Covers menu items reflect the fact that they also sync the cover folders when the relevant options are set. |-Added: Cover download functions can also delete files. eg. to sync the cover folders with a drive. |-Fixed: FAT32 format "Sectors per FAT" calculation was wrong. Maybe the cause of the problems some people have been experiencing. |-Added: Mini log in the format dialog. Everything seen there is also in the main log. |-Added: FAT32 format checks that were in the original source. e.g. 32KB clusters are too large for a 2GB drive. |-Fixed: NTFS formatting only worked for fixed disks. Now the media type is set from the drive geometry info so it should work with any drive type. |-Fixed: Error when zero sized files were loaded, causing the thread to terminate and not list all the games. |-Fixed: Writing CISO was broken...again. |-Fixed: Jobs page wasn't translated. |-Fixed: Some of the controls weren't resized with the settings dialog, causing long translated strings to be cut short. |-Fixed: Sort by region column caused the app to hang when the language wasn't English. |-Fixed: WBFS Disc Info Size wasn't calculated correctly since around build 56 or 57. |-Fixed: Texture blending mode for covers. They were blending onto black, instead of the background. |-Added: IOS version shown on all the lists. |-Fixed: IOS version wasn't correct for all games. I was also reading the IOS for all partitions instead of just the data partition. |-Added: Untranslated strings are now at the end of the lang file. After translating some of them, run "Update language strings" again to reorganise everything. |-Added: 2 version values in lang files. "Strings version" = contains all the strings for this version of WBM. "Translation version" = strings are translated up to this version. Translators should manually change this value to reflect the version they translated for. ie. After you translate the strings, "Translation version" should equal "Strings version". |-Added: Wrote a file download class using WinInet. It's much more stable than anything else I tried. Now downloads can be paused, resumed and stopped on demand. The app can be safetly closed at any time too, without error. Use internet options in control panel to set a Proxy and delete the cache etc. |-Changed: Stopped using the SVN version of fastmm, it causes errors in Delphi XE. Now using the Built in Delphi version. |-Added: Jobs page to view and work with the job queue. |-Fixed: Temp files weren't deleted when adding archives to the files page. The problem must've existed since changing to using the 7Zip DLL. |-Fixed: Invalid date format when removing backup logs, causing the app to crash on start up. |-Fixed: Scene freeze when changing the cover display types with the OpenGL renderer. |-Added: Version checks etc. for the renderers because sometimes they can initialise OK, but if the available API is too old then it can cause the app to hang. |-Fixed: OpenGL renderer code. It should init OK now. |-Added: Application icon by NahuelDS. Thanks. |-Added: Invalid cover images are automatically deleted and re-downloaded when necessary. |-Added: Column to show IOS version on the files page. I'll add it to others soon. |-Added: %APP% tag that can be used in the temp and cover paths to make them relative to the app folder. |-Added: Cover support. Download and display on the fly or use the menu to download missing covers. Plenty of options to customise how you want use it. |-Fixed: When "Use mounted volumes only" is clicked in settings, any edited display names are saved before rebuilding the drive list. |-Changed: Volumes and partitions use the display format "Drive (1:1)", where the numbers represent the disk/partition number. 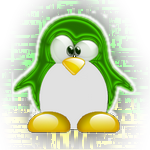 |-Added: Support for disk partitions not recognised by Windows. See the entry below for an example of how this can happen..
|-Added: When formatting to WBFS, the partition type is updated in the MBR as 0x07 (PARTITION_IFS). If formatting from ext3 for example, the drive is much harder to detect in Windows. Changing to IFS even allows a drive letter to be assigned. |-Added: GPT disk support in various functions, like the FAT32 format. |-Fixed: Column data in the settings file caused an AV on startup. Something wasn't saving correctly since the move to Unicode. I worked round it by saving/loading a compressed version of the data. |-Fixed: More translation stuff. Square brackets were getting removed and Radio buttons weren't translated. |-Fixed: I totally rewrote the "Remove" menu functions. It was reported that there was an AV after removing discs from a WBFS drive, so the new code handles things differently. |-Fixed: I was removing colons ":" from the langstrings.txt and language files when automatically updating the language strings. Changé: ISO, RSSI et les fichiers WBFS sont ouverts en lecture seule. Correction: Bug dans la fonction Fix partition qui ne fonctionnent pas au remappage de toutes les partitions dans SSBB. Ce jeu a montré une erreur TVF lorsque vous n'utilisez pas "Game seulement". Correction: AV après son transfert DVD-> ISO. Correction: les erreurs DVD n'ont pas été enregistrés correctement. Ajoutée: Nouvelle option "Utilisez le transfert de tampon". Il pourrait être utile de le désactiver lors du transfert sur un réseau, mais plus lent pour une utilisation normale. Ajoutée: vitesse moyenne de transfert apparaisse dans le journal, une fois terminé. Corrigé: Quelques résultats n'ont pas été ajoutés au progrès et certains journaux ont été ajoutés à deux reprises. Correction: les événements de progression pour le montage d'un disque ne sont pas tous affectées correctement. Correction: le WBFS style n'a pas été appliquée avec les transferts de fichier WBFS, il était donc toujours réglé sur Auto. Correction: la vérification de doublons avec les transferts depuis la page de fichiers ne fonctionne pas , entraînant un freeze de l'application lorsque l'on voulait désélectionner les éléments. Ajoutée: WBFS style split. Auto, Unlimited, 1GB, 2GB, 4GB. Ajoutée: Nouveaux articles à la page dossiers de la «Sélection» du menu. Sauvegarde et chargement d'un fichier. Une liste d'identifiants retenus sont enregistrer dans un fichier de sorte que ces entrées peuvent être rapidement sélectionné en chargeant le fichier. SEL. Ajoutée: Supprimer en toute sécurité WBFS disques corrompus. Pour l'instant, WBFS uniquement les disques avec une tête de mauvais sont considérés comme corrompus. Ajouté: "Outils-> WBFS-> Résoudre les blocs libres". Cela permettra de comparer les blocs alloués sur un lecteur WBFS avec des blocs effectivement utilisés par les disques y sont stockées. S'il ya une blocs trouvés à être affecté, mais non utilisés, ils sont marqués comme libres. Il est utilisé à des blocs de libre après retrait des disques corrompus, depuis l'en-tête ne peut pas faire confiance. Il devrait être pratique pour récupérer de l'espace après l'échec des transferts avec les applications qui ne gèrent pas correctement. Ajoutée: Nouvelle option "Ignorer stockage / convention de nommage pour les transferts aux WBFS fichier". Lorsqu'il est activé "Transfer-> WBFS fichier .." va utiliser le titre comme nom de fichier, sans aucun sous-dossier ou un fichier texte. 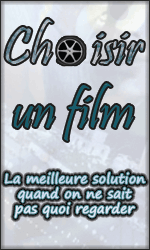 Ajout: DVD en mode Batch. Lorsqu'elle est activée, le panneau de progrès reste en attente ouverte sur le prochain DVD. Une fois insérée, toutes les partitions de jeu sont choisis et le transfert commence automatiquement. Ajoutée: Faites glisser et déposez les colonnes de la liste pour les réorganiser. Ajout: Sélectionner les colonnes sont visibles via le menu clic droit. Je peux ajouter quelques colonnes d'infos inutiles maintenant. Ajoutée: recherche incrémentale sur les listes. p. ex. Rapidement "Mar type" aller à la prochaine entrée qui contient ce texte. Il ya un délai d'attente de 1 seconde, donc si vous tapez à nouveau trop rapidement, vous pouvez essayer de chercher quelque chose comme «Marmar». Si vous avez ici un bip ou elle agit bizarrement, attendez 1 seconde pour le texte de recherche d'être apurés avant d'essayer de nouveau. Ajoutée: log Mini sur des panneaux de progrès. Cela montre seulement succès / échec / d'avertissement pour les transferts, etc Le groupe reste ouvert quand une erreur s'est produite. Consultez le journal principal pour plus de détails sur les erreurs. Changé: panneaux Progress Show à une case de défilement sur le côté droit de la fenêtre. Utilisation de la Scrollbox réduit la quantité d'espace nécessaire pour les panneaux de progrès multiples. Correction: les lecteurs WBFS apparaissent maintenant en utilisant la détection par l'intermédiaire de lettres de lecteur. J'ai introduit une fonctionnalité qui a montré que les lecteurs si elle avait un disque inséré, maintenant il ne vérifie si le disque existe. Ajoutée: demande automatiquement les privilèges admin , qui sont nécessaires pour travailler avec des disques WBFS. Ajoutée: fonctions WinAPI utilisé pour NTFS/FAT32 format, avec le code natif Delphi format FAT32 maintenant utilisé comme secours. Ajouté: Option pour sélectionner si le hash MD5 sont calculés automatiquement lors des transferts. Ajouté: Montage des dossiers personnalisés sur les pages lecteur via un dossier personnalisé "" item dans les menus du lecteur. Changé: WBFS AddDisc () de routine utilise trop de CPU durée de la copie 1 Le secteur de Wii à la fois. Je l'ai modifié pour copier l'ensemble des secteurs WBFS à un moment où l'ensemble du secteur est effectivement utilisée. Si des parties des secteurs WBFS sont inutilisés, alors ils sont copiés 1 Le secteur de Wii à la fois, comme avant. Cela réduit de près l'utilisation CPU sur mon système. Ajoutée: dialogue Format n'affiche pas de système ou les lecteurs réseau. Ajoutée: Grâce à la recherche alphabétique, majuscule fait une recherche le titre complet, les recherches utilisant des minuscules au début des titres. Correction: Dual taille couche ISO était erronée. Ajouté: Options sur Auto renommer titles.txt sur le transfert de disques et fichiers WBFS. Ajouté: Option à utiliser sur la volée les titres des conventions de stockage, ie. noms de fichier et dossier, sans le renommer les titres interne. Transferts à l'ISO / CISO toujours s'en servent. Ajoutée: ISOs sont maintenant aussi renommés dans le titles.txt. Le titre de l'intérieur n'est pas changé, seul le fichier / noms de dossiers. Ajouté: Option dans le menu outils d'entraînement, NTFS/FAT32-> Mise à jour de convention de stockage. Pour mettre à jour manuellement, plutôt que d'utiliser "Mise à jour lorsque le disque est monté" dans les paramètres. Ajout : Mode de compression complet et propre (scrubbing). La compression complète conserve uniquement les secteurs utilisés du disque Wii, le reste est rempli par des zéros. Sans la compression complète, certaines données inutiles sont conservées. Changement : le RAR extrait 20 Mb de données pour avoir les informations de disque, au lieu des 4 Mb précédemment. Ajout : Fonctions "Game titles->Rename ??" qui utilise des titres personnalisés comme WiiTDB. Les titres personnalisés sont prioritaire sur ceux de WiiTDB, ressemblant à un renommage à la volée. Les titres affichés sont les titres utilisés lors du changement de nom. Ceci a été ajouté dans une version précédente, mais je l'ai oublié. Ajout : Taille de coupure automatique des fichier WBFS. Illimité pour le NTFS, 4GB pour le FAT32. Changement : Ré-écriture complète des fonctions d'écriture ISO/CISO pour utiliser le disque Wii exactement de la même manière que sur une partition WBFS avec AddDisc(). Ajout : Diverses fonctions dans le menu des utilitaires de lecteur pour le calcul/vérification des hashs MD5. Le résultat de vérification est montré dans le log maintenant. Correction : Avec la fonction Add->Folder, les boutons pause et cancel ne fonctionnaient pas lorsque les fichiers étaient en train d'être ajoutés. Correction : Le transfert de disque multi-boot ne fonctionnait pas correctement lorsque le disque contenait autre chose que des partitions de jeu. Correction : Certain titres de disque multiboot ont un couple de uns (0x0101) après le titres réel, ce qui cause une erreur -32 lors du chargement de la partition wbfs dans le CFG. J'ai corrigé cette erreur avant la première sortie du code de gestion du multiboot, mais sans la supprimer complètement du code pour certaine raison. J'ai supprimé complètement la ligne de code concernée désormais. J'sais pas si j'ai affaire à un bug ou si c'est moi qui bug. Quelqu'un a t'il rencontré ce pblm ? Si oui comment l'a t'il résolu ? Sinon je repasserais à l'ancienne version. 2 go de tête c'est pas la limitation du fat ? non, c'est 4 Go la limite. Merci pour ce petit logiciel bien pratique !! ptite question c'est normal qu'un jeux sur le disque dur wbfs soit plus gros que si le jeux est en wbfs directement sur un disque dur fat ? Quelqu'un connaitrait-il un logiciel type WiiBackupManager pour MAC ? J'ai déjà WBFS for Mac mais je souhaiterais convertir mes fichiers de sauvegarde wbfs en .iso et malheureusement WBFS for Mac ne le fait que dans un seul sens (iso vers wbfs). Je vois qu'avec cette nouvelle version il est possible de formater en WBFS, avec des partitions de plus de 500 jeux... Bon... 'faut déjà avoir les 500 jeux! Mais juste théoriquement, est-ce que c'est compatible avec les programmes USB Loader GX et autres ? Dernière édition le 10/02/11 à 09:11:22 par tompus. 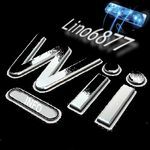 je viens de prendre wii backup manager pour comparé avec wbfs manager. Ma seule question consiste à savoir à quoi sert l'ongler DVD ? J'ai mis un jeu dans mon lecteur de dvd du pc, mais il ne reconnait pas ou ne trouve pas le jeu. j'ai : "No vali Disc"
très bon soft merci ! La liste s'ouvre avec firefox (ou autre) , quand vous cliquez sur la jaquette ça l'affiche en HQ , et quand vous cliquez sur le nom du jeux ça va sur wiitdb pour les infos etc. 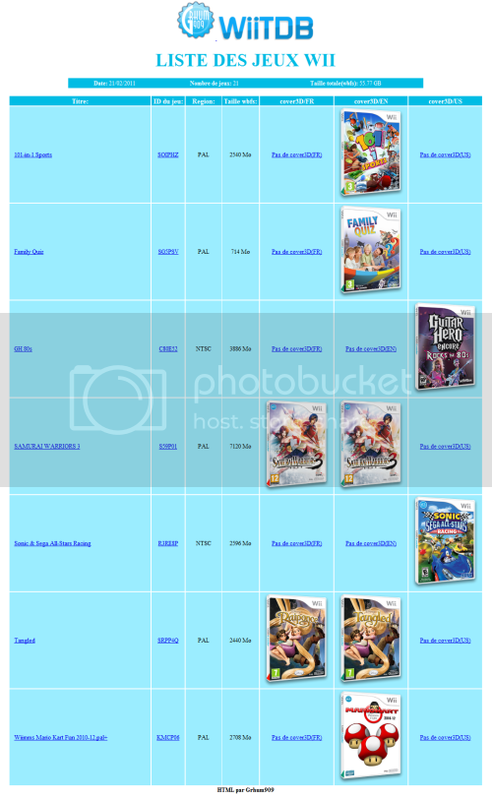 Pour créer une liste il suffit de sélectionner "outils" puis "Exportation de la liste des jeux" , puis "909 - Liste avec jaquettes (HTML)"
je n'arrive pas a mettre un jeux avec wii backup manager en format wbfs . Dernière édition le 22/04/11 à 01:20:15 par linaette. A bon avec quoi tu les as dumper ?!?! et desolé picsougrip, mais je savais pas trop comment formulé ça, et comme j'ai du mal et que j'y arrive pas!!!!! tu dis que le programme ne s'ouvre pas et tu dis en même temps que le programme à changé de design. Donc tu vois le programme sans l'ouvrir ? BONJOUR, lorsque j' essaie de transférer un jeu de vers un "DDE",je démarre le transfert lorsque un message affiché en rouge apparait. Je regarde dans le DDE mais rien. Mon dde est formaté en NTFS, j'ai déjà réussi plusieures transactions et j'ai essayé ncWBFS en vain.